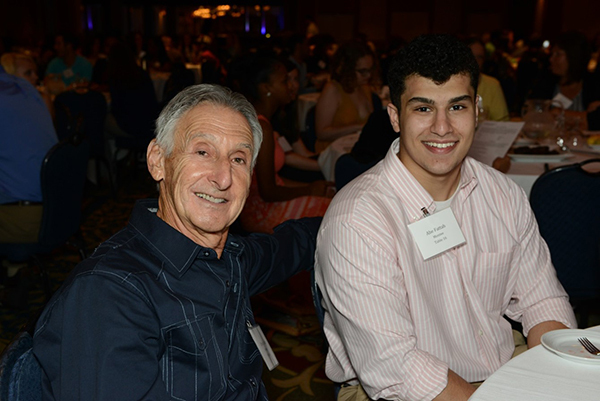 One of College Now’s signature programs is the Mentoring Program, which serves high-financial need college students from Greater Cleveland with scholarships and mentors. The time commitment from mentors is minimal – just two emails per month – and the results are impressive, with mentored students graduating on time at nearly twice the rate of their peers nationally. Students in the program are selected based on college readiness and financial need, and many happen to be first in their families to attend college. Mentors, who are college graduates, help students by offering college-related advice and guidance, as well as emotional support. College Now is very involved with pairs, providing training for mentors and ongoing support to both mentors and students. Next year, the Mentoring Program will be expanding beyond the 1,100+ students currently in the College Now program, to also serve recipients of the Say Yes to Education scholarship. This is a unique opportunity to personally make an impact on this important local initiative, which seeks to break the cycle of poverty in Cleveland in two generations.